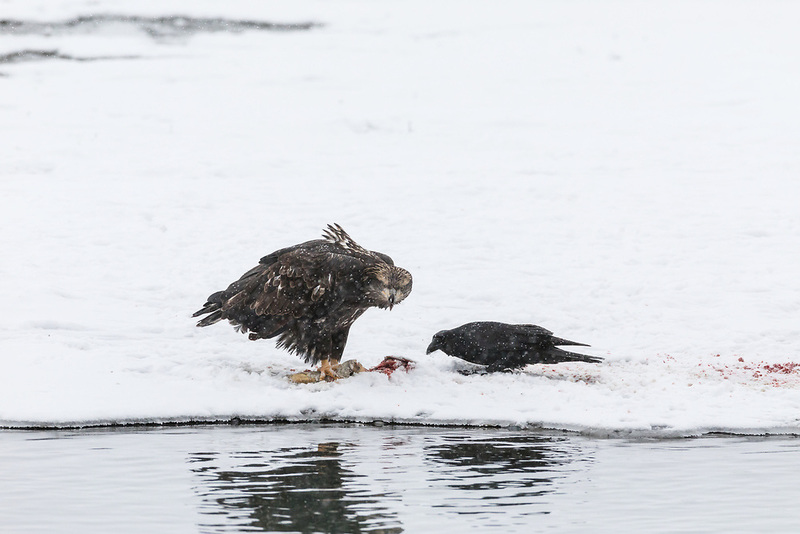 Common Raven (Corvus corax) patiently waits for the right moment to steal some salmon from the juvenile Bald Eagle (Haliaeetus leucocephalus) along the Chilkat River in Southeast Alaska. Winter. Morning.